Few industries are immune to the current economic downturn, but one showing some resilience to the recession is snow sports. A recent report by SnowSports Industries America (SIA) found sales of new skis, snowboards, and related products were up 9% this fall. Media coverage of snow sports is also holding up fairly well, notes Caroline Andrew, director at Missy Farren & Associates, whose clients include snowboard and apparel maker Burton. In the past, snow sports media had a distinct demographic division, with coverage of snowboarding skewing younger, while traditional skiing stories were aimed at an older, more affluent audience. 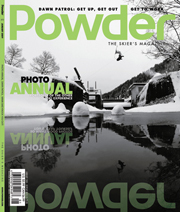 But with skiers now hitting the half-pipe and doing many of the same tricks as snowboarders, the line between the two activities is all but erased, says Derek Taylor, editor of skiing outlet Powder. Taylor explains that his title does product reviews and some coverage of the top-tier pro ranks, but also plenty of lifestyle stories. “We like to write about the mountain culture and everything that goes on around the sport,” he adds. Carson Stanwood, principal and head of the Jackson Hole, WY, office of Carmichael Lynch Spong, recognizing that some newspaper coverage of snow sports has been cut, suggests that decline in coverage is offset by interest from broadcast outlets. SIA president David Ingemie suggests the real challenge in creating coverage isn't so much finding content for the enthusiasm, but generating stories that broaden the snow sports audience. Ingemie adds that may mean more coverage in general-interest outlets.